Director's Score. Composed by Anna Laura Page and Jean Anne Shafferman. This edition: Director's Score. 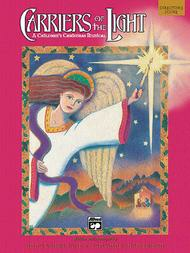 Christian Elementary Musical; Church Musicals; Performance Music Ensemble; Worship Resources. Children; Christmas; Sacred; Winter. Score. 36 pages. Jubilate Music Group #00-16077. Published by Jubilate Music Group (AP.16077). December 09, 2014 Fantastic Children's Christmas musical!
. I pretty much played these wonderful arrangements as written. Highly recommended! ages 6-12 and a 3-yr-old lamb. It would be best with 8 or more children (plus the narrator), and avoid the quick costume change of 3 characters. 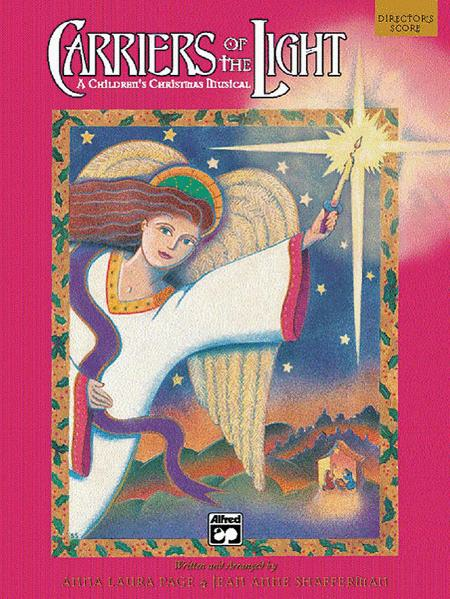 The angel passes the light of Christ to Mary, then Joseph, then the manger, shepherds, kings. In the end the entire audience has lit candles and is singing along with "This Little Light of Mine." They all became "Carriers of the Light."